In every game of his 21-year playing career, Robinson’s fans knew they were watching a legend. Major League Baseball Hall of Famer Frank Robinson has died at 83 following a long battle with cancer. 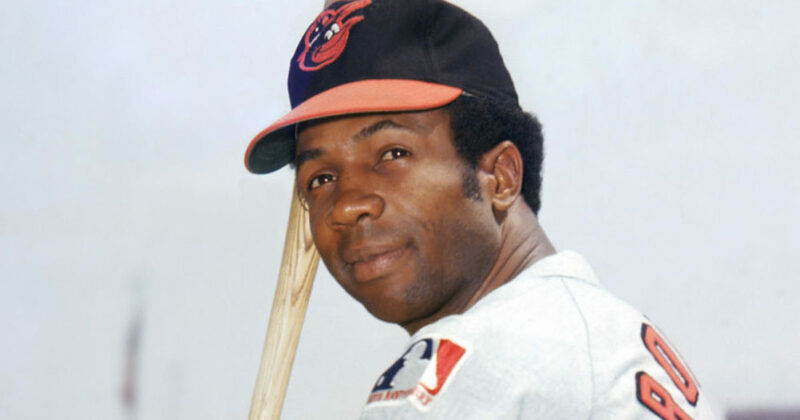 Frank Robinson played for five teams as an active player, but it was his time with Palmer and the Orioles that would prove to be the most memorable years of his career. He came to Baltimore in a notorious trade from the Cincinnati Reds in 1966 at age 30. Cincinnati felt that their one-time Rookie of the Year and 1961 National League MVP winner had gotten too old. Baltimore traded three players for Robinson, and in his first year with the Orioles, he won his second Batting Triple Crown, American League MVP, and had boosted his new team to their first-ever World Series title. It seems the Cincinnati Reds got the raw end of the trade. Robinson would go on to play five seasons in Baltimore, with whom his second World Series in 1970. Most young Baltimore fans are shocked to learn his legendary status as an Oriole lasted for only five years. The impact Robinson made on the team rivals only Cal Ripken, Jr. who played for the Orioles exclusively for 20 years. Certainly, his mind for baseball was sharper than most. His clubhouse attitude would soften as his career advanced. His teammates grew to cherish their time with him. His relentlessness served as an inspiration for all players, no matter which dugout they sat in. Before his playing career ended, Robinson would add another remarkable achievement to his resume. He was named player-manager of the Cleveland Indians in 1975, becoming the first black man to ever manage a Major League Baseball team. The appointment launched a fearsome career as a coach and manager that would continue until his retirement in 2006. As a lifelong Baltimore Oriole fan, I feel a true titan has been lost. The bronze statue of Frank Robinson near the entrance of Camden Yards will loom large this year as fans recall the golden years on their way to a game. Time marches on, but the legend of Frank Robinson is here to stay. Photo St. Louis Cardinals at Washington Nationals. NLDS Game 3. October 10, 2012. Before Harper sent a 458-foot bomb into the frigid air at Nationals Park Tuesday night, the homecoming wasn’t so rosy for the 26-year-old and newly minted 330-million-dollar man.